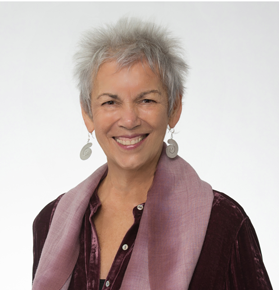 Exploring the intersection between the Feldenkrais Method® and Wholebody Focusing, we will experience and discuss the role of embodied, grounded presence, a non-doing state, in accessing multiple dimensions in oneself, in connecting with our clients, and with the active learning process in the Feldenkrais Method. I have pursued embodied awareness, movement and learning in many forms for five decades, my path reflecting the growth in the somatic and awareness fields themselves. With a background in the arts and child development, I have studied and taught a variety of somatic practices, and am interested in their intersections. I am certified as a Feldenkrais practitioner and trainer, a Wholebody Focusing trainer and a Laban Movement Analyst, being fortunate to have trained with the originators of these fields. I have taught in schools, universities and trainings throughout the US, in Canada, Europe and Australia, and have maintained a private practice since 1981. I was a founder, principal curriculum designer, and on the faculty of the Masters degree program in Movement at Wesleyan University. In support of the institutional structure of the Feldenkrais community, I have served on the Executive committee of the Feldenkrais Guild of North America® BOD, the Training Advisory Board of same, on the International Feldenkrais Federation BOD. I am currently on the Legacy Group, fostering dialogue on the future of the Feldenkrais Method. I continue to study meditation and Qigong.